IT may have been a little quiet on the golf scene as the number of courses continue to dwindle within Singapore – but worldwide, it’s still among the gent’s choice of premier sports and one of the best lubricants for business talk, alcohol aside. No matter where you are in the game – or if you haven’t started at all – the tech and materials used in all the gear and apparel leapfrog each here. Here’s a 2019 refresher to keep you up to date. No one starts pushing 250s with a Bugatti Veyron. The same goes for golf – you’re cramping your learning if you buy the highest-grade irons right off the tee. Better to start with clean, simple options and work your way up the greens while upgrading your tools one by one. For that, go for the solid sets produced by Illinois-based Tour Edge which offer durability and reliability at great price points. In this Bazooka Men’s 360 Box Set, you’ll find the driver, seven irons, a 3-wood, a putter and a hybrid – all you need to begin your journey. Plus, they come with a lifetime warranty, so they’re good for handing on to kids or friends picking it up in the future. Long story short: this app is built to help you improve your swing. That’s the foundation upon which you will build your lifetime golfing record; a good form engenders improvement, and a bad one encourages bad habits. Getting the form right is also essential to maintaining a good posture and avoiding injury. Thankfully, our smartphones now pack enough tech to track and analyse our swings with just the camera and a simple add-on sensor – perfect for beginners who don’t want to dump thousands of dollars into the tricked-out clubs yet. It’s an even sweeter deal if you have an Apple Watch – the app makes use of the Watch’s sensors to deliver a great deal of swing information. Since you have the basics down pat, it’s time to zoom out by mapping out each game and aiming for better scores. The aptly-named Golf GPS is a free app that has it all: rangefinder, course maps, scorecards and their archival and finally handy access to tips and golf hacks from pros. One crucial function that’s often understated is that the course maps are community-built – meaning a wide bevy of users construct the maps with great attention to details that generic maps may not provide. Of course, some of the advanced functions require an annual subscription to unlock, but hey – it’s way cheaper than what you’d have paid for those oldschool GPS bricks. So you’ve managed to downgrade your scores. Time to treat yourself with a set of irons that offer a little more control, now that you know how to use it. The Ping G25 six-piece iron set gives a mid-kick boost that launches higher, thanks to the widely-loved CFS shaft that’s proprietary to the Arizona-based manufacturers. Pro tip: feel free to invest a little by going through with custom fitting this time, it’ll really amp up your game and have you realising your golfing potential. Ping has a distributor in Singapore that offers this service. 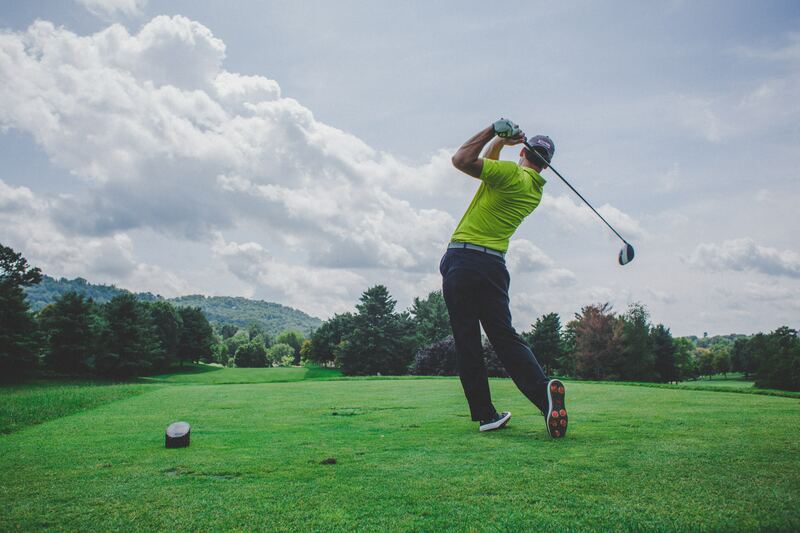 Let’s face it: you’re not just on the green to swing it. Looking the part is as every bit as important when you’re playing at this level. These threads from COBRA Golf – a subsidiary arm of Puma – merges the sensibilities of lightweight and dry-fit material with the design ethos of Puma. Plus, they look as good as they do in urban settings as they do on the fairway. It’s time to invest in some end-game gear – you’re definitely going to go for the “big three”. These brands pump out apparel and gear at an amazing pace, and supply the world’s top golfers and championship heavyweights with their weapons of choice. What’re you getting with the top gear? On top of plenty of customisation options, you’ll be able to kit out your stand bag with pieces that match your exact needs – different shafts and balances that mesh well with your swing, your height, and your accumulated years of habits. More importantly, part of the joy comes from window shopping till you meet that exact driver you’ve been searching for – then rinse and repeat till you have a trusty set. Beyond that, all you really need are hours upon hours of practice – and perhaps this hovercraft that was built for Bubba Watson back in the day.